I missed my vacation update from yesterday because we were out of town and had absolutely no access to Internet or a data network. While it was a little chilly at the cottage, the drinks were flowing, the scenery was beautiful, and the company was delightful. 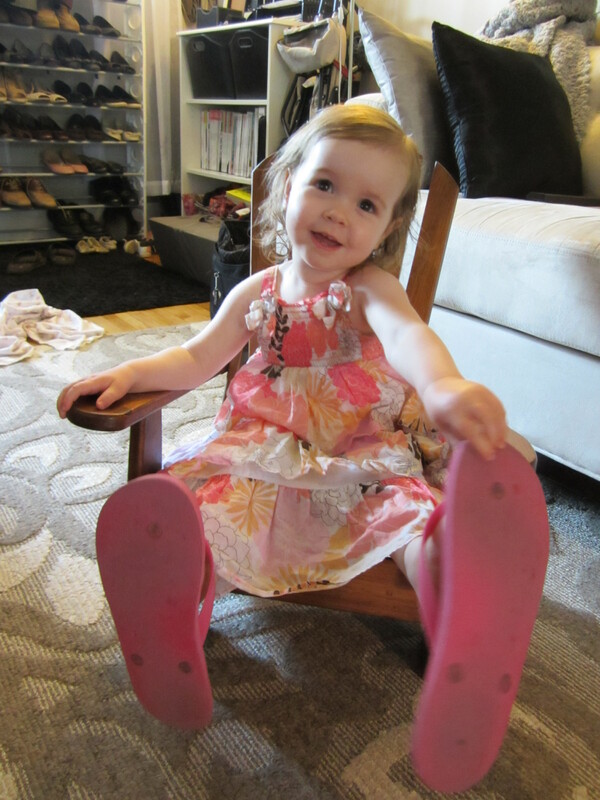 On to my day 4 update… today is L’s 3rd birthday! While we only did a small celebration because we are having a party this coming weekend, we did keep up with a couple traditions. 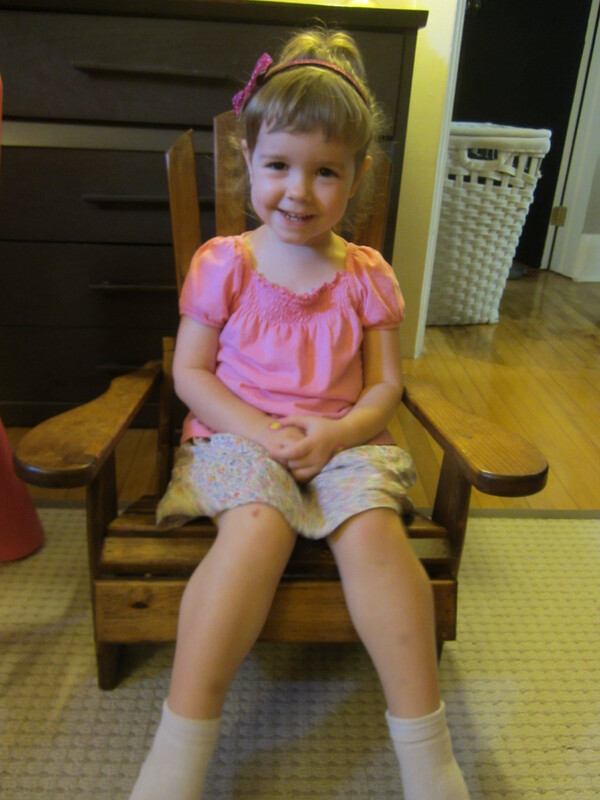 When L was born, we received a beautiful wooden kid sized Muskoka chair (Adirondack chair for my American readers!) 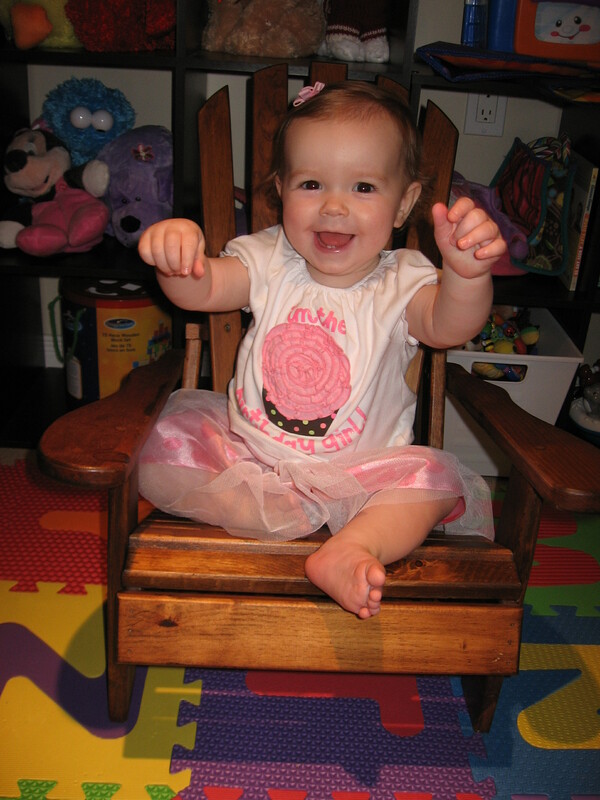 Up until L was 2, we took monthly pictures in the chair to watch her grow. After her second birthday, I got lazy and the pictures stopped (although I have been doing them monthly with E!). The pics are now yearly and it is still amazing to watch how much L changes from year to year. Starting this year, I introduced the tradition of the birthday interview. If I remember to keep with it, it would be neat to put every year’s answers into a scrapbook for L’s 16th birthday! And I’m still working on M’s ‘year one’ album… I think I’m going to give up on finishing my baby shower album at this point, lol. I know! Time is going so quickly. I still haven’t finished E’s bday book or even started L’s first year book, lol.